Get off the couch, turn off the TV, and shut off your phone: it's time to ride bikes! 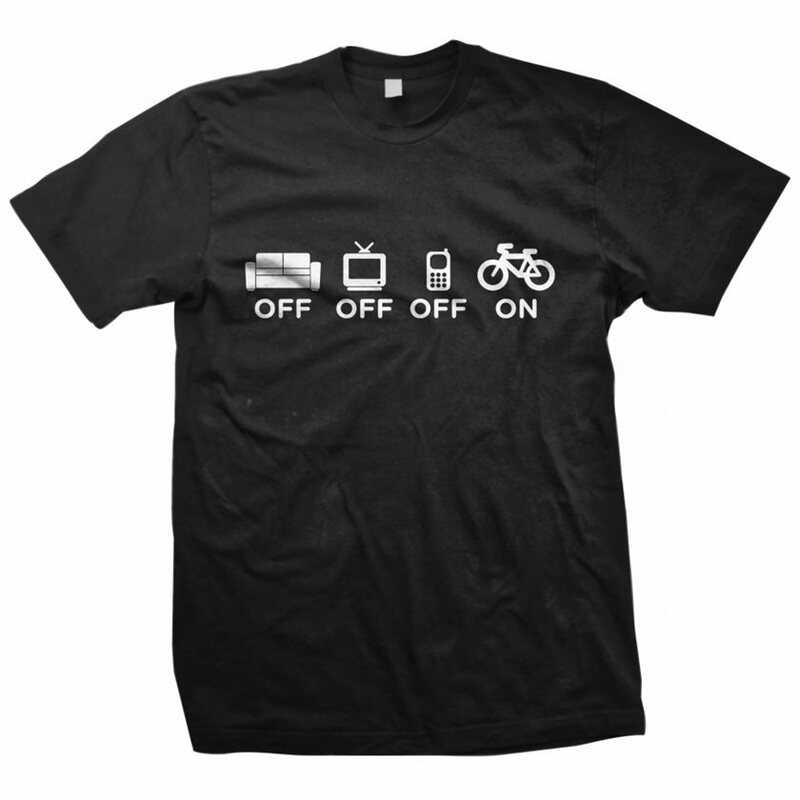 The "Off-Off-Off-On" shirt from DH Designs is a comfortable 100% t-shirt that knows the true secret to happiness is to unplug and hop on a bike. I like to wear it around my teenage daughter, who won't ride and spends too much time watching her phone and laptop. The shirt was the size expected and dressed very well. I liked the color and size of the artwork. I recommend buying this product for other buyers. Great shirt, super soft, fit's me perfectly.